Did ‘Mad Money’ host panic investors? 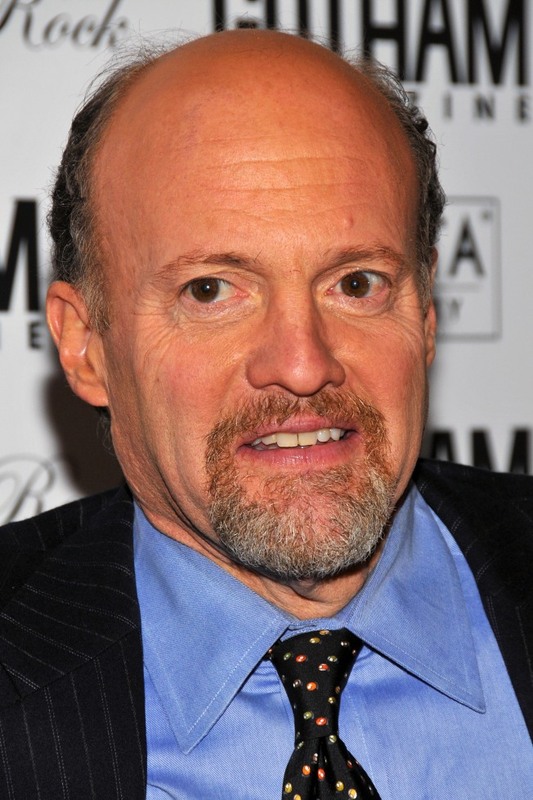 Beset by critics who said his bearish advice to investors has added fuel to Wall Street’s fire sale, “Mad Money” host Jim Cramer defended his comments Tuesday and rejected suggestions that his pronouncement has contributed to the worldwide plunge in stock prices. As recently as July, Cramer said on his CNBC show “Mad Money” that the market had bottomed out. But events of the past several weeks — including the collapse of several banks and investment houses, the insurance giant AIG, and the giant mortgage lenders Freddie Mac and Fannie Mae — have thrown stock markets into global turmoil. The $700-billion bailout of mortgage lenders passed by Congress and signed into law by President Bush over the weekend has not been enough to calm things. On Monday, after a weekend of thought, Cramer told TODAY’s Ann Curry that it was time to remove from stocks any money you cannot afford to put at further risk. “Whatever money you may need for the next five years, please take it out of the stock market right now, this week. I do not believe you should risk those assets in the stock market,” he said. But, he added, his advice to those who can afford to do so remains to ride out the recession. On Tuesday Vieira asked Cramer if he had any regrets about giving that advice 24 hours earlier. “No,” he replied. “I’m an innate optimist, and anyone who’s watched me over 28 years of talking and trading in the market knows that I believe fundamentally that the stock market’s a good place. But if you’re going to buy a house or put your kid through college, or need a car or health — maybe for senior citizen retirement — why should you risk over the next five years being in this stock market? Nonetheless, Cramer’s taking a lot of hits on the Internet and from TODAY viewer e-mail. But Cramer would have none of it. “Do you think I’m causing a collapse?,” he asked Vieira. “I worked at Goldman Sachs. They almost went out of business. My insurance was with AIG. It did get nationalized. Lehman Brothers is a place I traded with for years. It’s disappeared, as has Bear Stearns. I’ve sold a lot of Freddie Mac and Fannie Mae bonds. They don’t exist anymore. “I could sit back and say, ‘None of this really matters. Everything’s fine,’ ” Cramer added. “Or I can say, ‘Take some off, ride it out, put it in a savings account that’s insured for $250,000.’ To me, that’s [better] safe than sorry. Only in a jittery time would someone who says ‘be safe than sorry’ be pilloried. Michael Farr, the president and chief investment officer of Farr, Miller, & Washington, told Vieira that Cramer’s advice is sound during any market conditions. But, he added, long-term investors have no choice but to stay in and ride out the crisis. Farr harked back to 2000, when the Dow fell from 11,100 to 7,800. “We’ve been through these drops before,” he said. But he also acknowledged that the analogy may not be perfect.